Boris Valabik played for the Rangers from 2003-2006. He only played for the Rangers while he was in the OHL, and in 2004 he was drafted 10th overall by the Atlanta Thrashers. 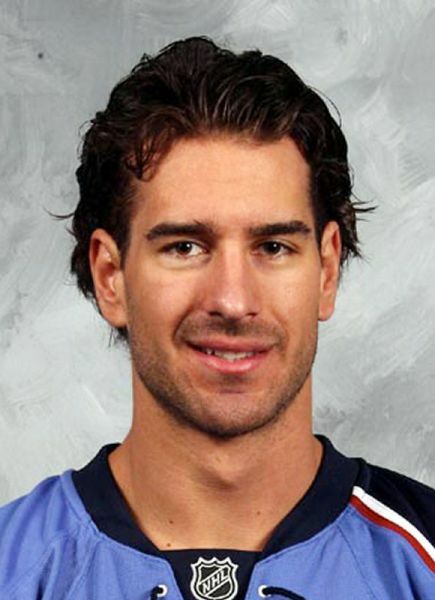 He was a powerhouse defenceman, and after leaving the Rangers, he spent the following few seasons bouncing between the AHL’s Chicago Wolves and the NHL’s Thrashers. He then went on to play in a few European Leagues and teams. His last season on record was 2016-17 with the AplsHL. This Slovakian hottie only played for one OHL team, and we were lucky to have him in Kitchener. He was a solid player and very popular with the ladies. One in particular, if you remember from M, which was Sara 4. She did seem to get her fair share of the hockey players…because a few years after ending things with Boris, Mike Richards (flashback to R) introduced her to Sydney Crosby as well (who has excellent taste in apology necklaces in case you guys are wondering). So I have learned more about Boris than I ever really needed to know. Way. More.